Apple has a story. Budweiser has a story. Nike has a story. In-N-Out Burger has a story. Most successful brands do. They have a story beyond their “product” that has been burned into the minds of the consumer. Microsoft doesn’t. Microsoft is a utility program – a good one – but a utility program mostly purchased transactionally instead of emotionally. There aren’t a lot of positive Microsoft stories. 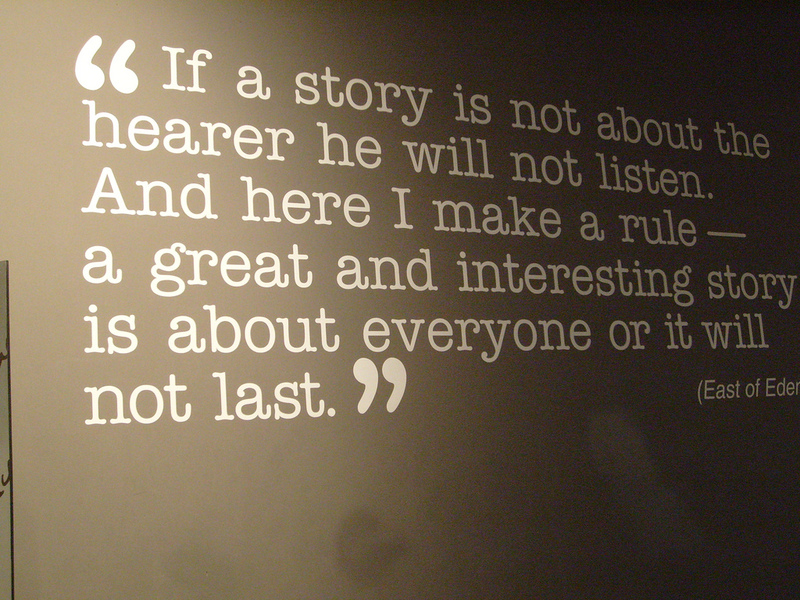 Stories are what people remember. Take that all down to the level of say, your radio station, and how does it translate? Is there a story you tell everyone about the station – one that is about the music, but beyond the music at the same time? Something that taps into your listener’s passion? Something that’s uniquely yours and not shared by other stations in the same format? The right story starts with the “why.” Simon Sinek’s concept links well with media brands. You just have to figure out why your station does what it does, and why people become fans. Chances are you can weave those into a terrific story. You can also find help from author Donald Miller’s Storybrand site. You may recall Miller from his book, “Blue Like Jazz.” Someday, when I have enough time, I’m going to attend his sessions on building your brand’s story. But I’ve already learned from him the value and importance of the right kind of story. “No, no! The adventures first, explanations take such a dreadful time.” – Lewis Carroll, Alice’s Adventures In Wonderland. I first met John Moore in Nashville at a GMA event. He was a guest speaker, and wanted to meet my friend Jon Spoelstra. The next day I saw him speak about Starbucks, and how they managed the brand through their marketing. It was only after he’d spoken that he mentioned about his stutter. Yes, someone who makes a good portion of his income speaking in front of large groups had a stutter. But the real point of this story is the story. In a recent post John talked about his situation, but it’s not only the story, but how he told it. We can learn a lot about how John told the story. When we see on-air people trying to communicate a story, it’s a great example of mixing facts with emotion to create a reality you can feel. Telling a great story can take longer than 60 seconds, but if it’s done well enough, it’s worth it What do you hear on your station, facts or the emotion of a story like John’s. P.S. If you want to have a highly successful station, you need to read “The Passion Conversation,” which was co-authored by John.